In an effort to make my life more organized (or organized at all), I am going to attempt to post on a schedule. For now, I’ll try to post blogs, news, etc every Monday and post book reviews on Wednesdays. Here’s hoping! For today’s news, I received the following information from Hope Clark’s Funds For Writers. If you haven’t signed up to receive free copies of Hope’s newsletters, you’re missing out on an important guide to current markets, supporters, and more. A tip on this particular gem: the deadline may be soon. Don’t delay if you’re interested. $10,000, with no more than $2,000 awarded per organization. DEADLINE – Postmarked or Emailed by November 15, 2010. First prize – $150. Second prize – $75. Third prize – $40. 6 HM. Feedback posted on website. JUDGE – Agent Jeff Kleinman, Folio Literary Management, NY, NY. Email/Snail Mail: 1. First 5 pages of a novel, 1,500 words max. 2. One-sentence synopsis of the novel, 25 words or less. Entry pages not published. Authors keep all rights. Open Internationally. Checks (US bank), Money Orders or PayPal. Good luck, all ye competitors! I feel like I’m introducing a star and am just a wee bit giddy. By now you’re all familiar with “The Taming of Mei Lin.” I’m delighted that the author, Jeannie Lin, has agreed to do a guest blog today! Victoria and I belong in a group that she started for authors of Asian novels and we often discuss issues specific to writing Asian characters and subject matter for an English language audience. One of the tricky challenges is how to represent the cultural background of the characters authentically. Something I always keep in mind when writing any character is the idea of deep culture versus surface culture. It was something first pointed out to me in my teaching program and it’s a good way of deconstructing what really makes a culture distinct. Surface culture refers to the things that are outwardly visible and more easily identified by observing people from the culture. The clothing, the food, and the customs. These are the immediate things that come to mind when we think of other cultures. For Tang Dynasty culture, examples would include the silk clothing and hair styles. It would include etiquette such as bowing. Even folklore and mythology are part of surface culture. Deep culture is harder to detect. These aspects go down to the belief systems that members of the culture hold common. You may start to get a feel for it after spending an extended period of time within a culture. Examples of this would be ideas about death and family. In Asian culture, it’s not uncommon to speak about previous lives or next lives. We even do this in everyday conversation of a non-spiritual nature. It can be as subtle as the concept of time. For example, it’s understood among Asians that if you get invited to a wedding at 5pm, everyone knows not to show up until 7pm and, if lucky, you’ll eat around 8. Westerners have a very different concept of time. In Western culture, it’s respectful to be on time if not early. Of course there are individuals within each culture. People who go against the grain know they are going against the grain, and it should show in their character. When I got married, my mother specifically told guests to observe “American time”. Mom is a business woman and hates it when people don’t respect schedules, but she also understands this cultural aspect, as shown by how she admonished my wedding guests! When it comes to writing a historical novel, surface culture is easy to throw out there. We can dress them in embroidered silk robes. Put carvings of dragons in bas relief over temple walls. We can have our characters bow and observe proper status. Deep culture is how writers truly create authenticity. If we describe these beliefs explicitly, then it feels unnatural, as if the book is lecturing rather than storytelling. The challenge is subtly weaving details of deep culture into the characters’ internal thoughts and emotions as we create their world view. No matter what your character’s ethnic background, this infusion of deep culture is what convinces readers that they are living, breathing people. This is true of Regency England, or the American West, or Tang Dynasty China. When I’m reading a historical, this infusion of deep culture is more convincing than clothes or dates or facts and ultimately—way more satisfying. Concert 1:2-4:30 P.M. Concert 2: 5:30-8:30 P.M.
Want to volunteer at the GKGJF? Go to the festival website to sign up. Okay, I’m going to cheat a little this morning and direct you to a recent study, a book and fellow author’s site: All That You Desire. The topic of the article is the difference between how Asians and Caucasians read body language and may well force me to change some things in my ms. 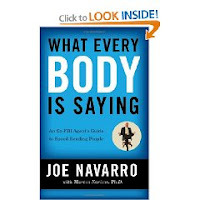 The book is on a related topic in that the author is a former FBI agent and an expert on reading body language. He will tell you there are many universal tells of human body language. Apparently there are Cultural differences in how we read and interpret that language, though, some of which Jeannie Lin discusses on her blog. Pretty cool and thanks for the heads up, Jeannie!